Joined the Bears for the Red Grange "barnstorming tour" following the 1925 season following four seasons with Frankford, Canton and Cleveland. 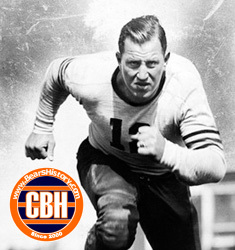 Played for Bears during the regular season from 1926-1934, leaving pro football in 1929 and 1932. Known as the player that pioneered shifting and slanting on the defensive line. George Halas stated that Lyman was a better, stronger player in his final two seasons than he was when younger. Enshrined in Pro Football Hall of Fame in 1964. Died in 1972 at the age of 74.